Meet The Insanely TAN Woman Who Sports Europe’s BIGGEST Chest! 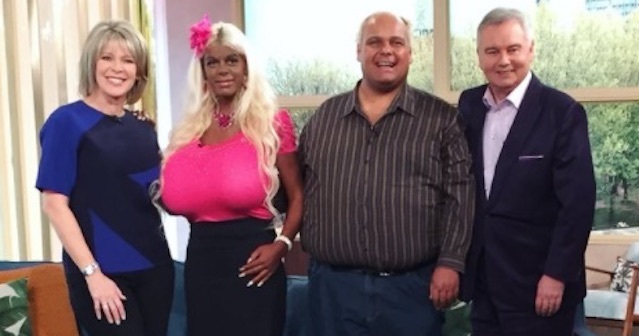 Meet Martina Big, a ‘model’ who has struck the claim to Europe’s biggest lady bumps and possibly the world’s darkest tan. Big recently appeared on UK’s This Morning show. Big not only possesses a record setting tan, (that would make President Donald Trump envious,) but she also has scored the title of biggest “assets” in Europe. Big’s chest clocks in at a whopping size 32 S!! !